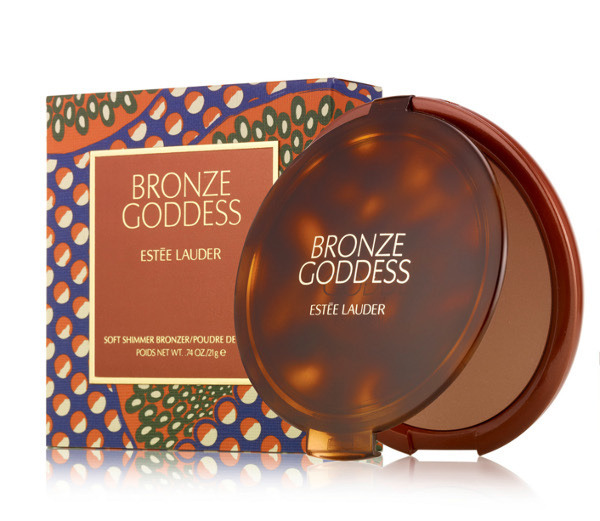 I'm more than a little in love with Estée Lauder's limited edition Bronze Goddess powder bronzer ($40 at Estée Lauder counters), which is really saying something because: 1) I've always steered clear of bronzer for fear of looking like a Jersey Shore reject; and 2) I never considered bronzers and self-tanning products to be a necessary part of my beauty regimen. The jury's still out on self-tanning products, but in the meantime, the Bronze Goddess palette has ingratiated itself into my daily makeup routine. It's an ideal gateway product for bronzer-phobes like me. The powder (available in four shades to suit a wide range of skintones) goes on sheer and has buildable coverage; there's no telltale orange hue, OTT shimmer, or unblendable streaking to be had here. I like sweeping it on the sides of my face and along my jawline for some subtle definition. The fact that the tortoiseshell palette and soft crescent brush make this product feel like a luxurious pleasure to use—why, that's just icing on the cake. P.S. In case you haven't heard, Google Reader is retiring at the end of this month. So if you've been using it to read this blog, please subscribe to my RSS feed in a different reader!